A recent BBS News feature described how 8 weeks of meditation could reduce stress and lower a person’s heart rate. While the process of achieving a meditative state wasn’t emphasised, it was clear that closing one’s eyes and focussing on one’s breathing was part of the process of achieving and sustaining meditation. I was struck by the similarities of achieving mediation and achieving hypnosis. The former is usually self guided while the latter is guided by the therapist, but the results and the actual state are remarkably similar. To help a person achieve hypnosis, they’re asked to focus on their breathing, to be aware of that gentle rhythm and to begin to gradually relax every muscle from head to foot. Neither meditation nor hypnosis is a form of sleep as people in either situation are fully aware of events around them. In neither state is their a loss of control. In both states, which are actually different approaches to the same state, a person is deeply relaxed physically with a mental and emotional calmness soon following. 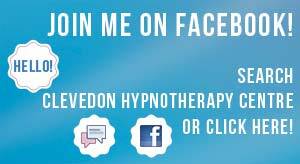 I realise that by helping a person to achieve a state of hypnosis over a number of sessions, I’ve also taught the person to meditate for the purpose of stress management through inner calm.